It comes packaged in a large, plastic, transparent bottle that holds 500ml of product with a black flip cap lid. The front of the bottle has a simple, old-fashioned style logo with product information and the back contains more information such as ingredients and how to use. The product itself is of an average consistency and is a yellow-green shade. It has the beautiful smell of verbena. To use you need to massage a small amount into wet skin and rinse. There is something about this product. It's as if you can feel the care, love and attention that has gone into making it. As you apply it, not only does it smell luxurious, it feels luxurious too. It's also really fresh, so it's a great pick me up in the mornings. Once rinsed, skin is left soft and cleansed and the scent lingers faintly for a while too. 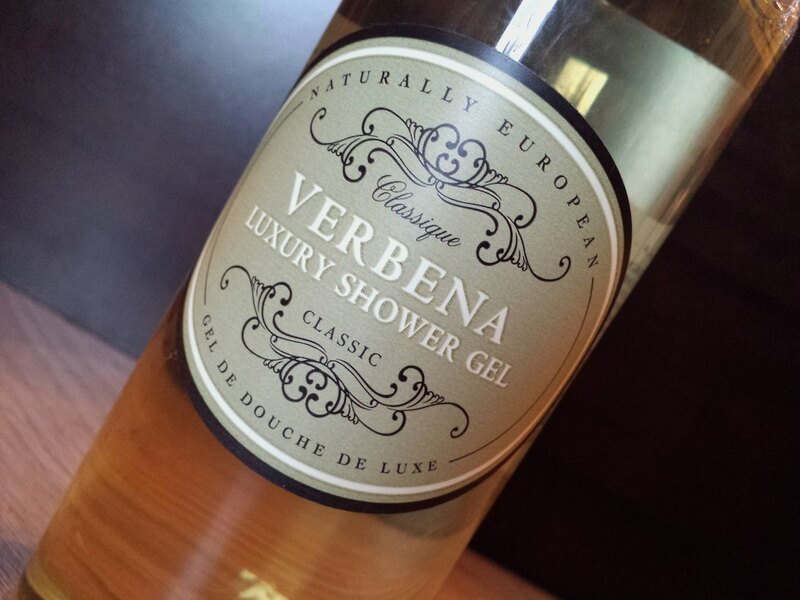 Sometimes with natural products you don’t achieve as much of a lather as you would with a regular type of body wash, but Naturally European Verbena Luxury Shower Gel produces a fair amount. It’s because of this that a little still goes a long way. This is particularly great when combined with the fact that there is so much of it! In my opinion, it could easily get away with being sold at double the price that it is (£6.95 for 500ml), so it really feels like fantastic value for money. 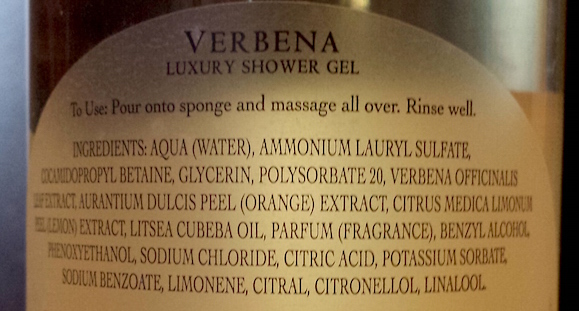 In fact, it reminds me of the Verbena Shower Gel by L'Occitane, but less than half the price and with double the amount of product. Therefore, if you are a fan of that, you may also like this. Overall I think that this shower gel is pretty incredible, especially for the price. Only a small amount is needed, so the bottle will last a long time. It’s also perfect for families as there is plenty for everybody. The fact that it doesn't contain SLS or parabens is something that can give you peace of mind, too. You can purchase a full size, 500ml bottle of Naturally European Verbena Luxury Shower Gel for £6.95 from John Lewis where you can also find it in Rose Petal and Ginger and Lime. You can purchase the other scents in the range from the Somerset Toiletry Co. website for the same price per bottle. 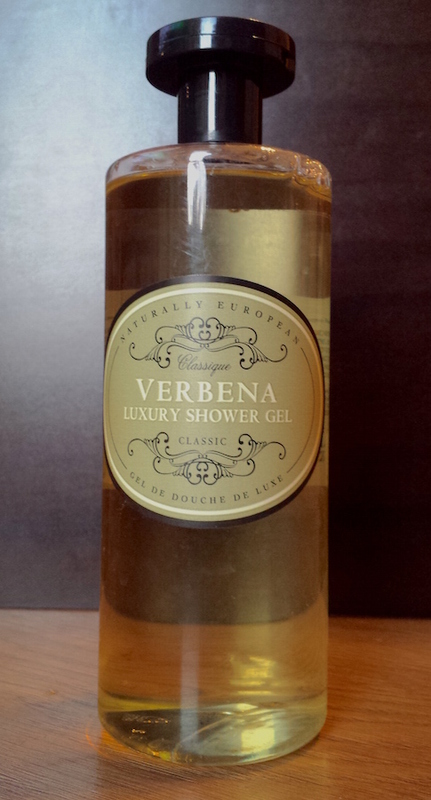 What do you think of the Naturally European Verbena Luxury Shower Gel? Which scent do you think is/sounds best?